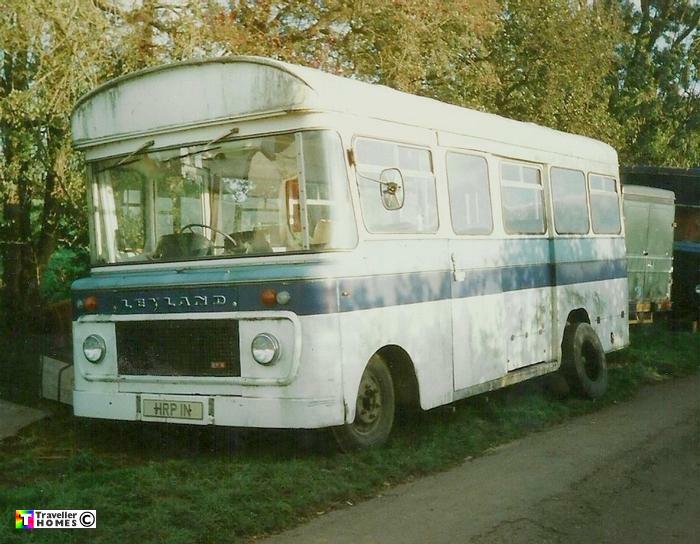 HRP1N (1974) Leyland 550FG . Wadham Stringer B-F. Ex-Northampton Hospital . Seen 1998 Norton . Later painted black & white , then sold to Alex . Then scrapped at some stage as the reg. is now on a Kia car ! Photo = Cal .